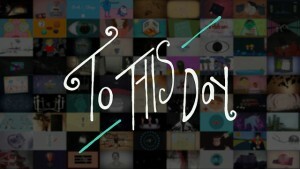 When Shane Koyczen recorded his poem ‘To This Day’ it went viral. Shane said ‘my experiences with violence in schools still echo throughout my life but standing to face the problem has helped me in immeasurable ways’. He wrote “To This Day”, a spoken word poem, to further explore the profound and lasting impact that bullying can have on an individual. More then eighty animators and motion picture artists volunteered their time and animated the poem and it is beautifully done. Do watch the video as it has a powerful and moving message and it is suitable for older children to view too. We must not dismiss bullying as a harmless, almost inevitable, part of growing up. We need to change this view and acknowledge bullying as a serious problem, because as many as 7 out of 10 adults were bullied as a child. Bullying in childhood can have long-term negative consequences for health, job prospects and relationships. Do talk to your child about bullying and give them strategies to deal with it. Do listen to them, support them and take action if needed. Equally if you suspect your child is bullying others talk to them. The earlier we can educate our kids about the harmful effects of bullying the greater chance of changing behavior and raising awareness. For more information related to bullying go to this website: Bullying. No Way!